Ah Valentines, that funny ol’ time of year. So commercialised, so much pressure, or if you are single you loath how it seems to have infested every corner of everything for the first two weeks of February. Personally I hate all the heart shaped crap and fluffy teddies, but I do love love and the idea of doing something together with your partner. I wasn’t sure whether to do a post or not, but I got great feedback on Twitter for my Christmas Gift guide, so I’ve put together a few ideas for you if you need a helping hand. But feat not if you are single, I’ve got a little giveaway at the bottom too, so there’s something for everyone. Restaurants are way too over packed at Valentines, so why not stay in and eat? Have dinner wrapped up together in bed, then drink champagne and eat chocolates together as you chat and laugh the night away- and laugh at all those fools who will barely be able to hear each other at some overpriced restaurant. Now I don’t know about you, but I am the cook for me and my boyfriend, so cooking on Valentines too doesn’t quite sound fair. So why not have a picnic instead? I searched the internet for a hamper that did savoury as well as sweet treats, and found the Great Taste Award Gold Hamper. Inside is 21 items including Organic Smoked Salmon, Air Dried Ham, Bandon Vale Glandor Red Leicester Cheese, Traditional Country Fruit Chutney and some yummy sounding Cucumber Viniagrette Relish. Oh and some Chocolate Pouring Sauce and Tregroes Freshly Baked Toffee Waffles too. Yum! I’d say lay it out on your duvet and have a romantic picnic in bed. 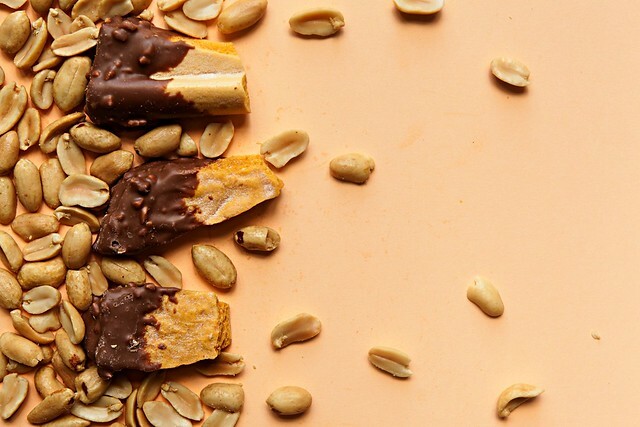 If you still want those chocolate though to nibble on whilst you cuddle up, I have to recommend Chabonnel et Walker. They have been my favourite for years. You might have seen on my Instagram a picture of a cheeky box I had (had being the key word here) of Mark de Pink Champagne truffles. Oh boy they are good. But did you know they are endorsed by the Royal Warrant as one of the few chocolatiers to Her Majesty The Queen? To feel right royally special on Valentines, pop a few truffles into your mouth in bed with your prince. Now if you really don’t fancy staying in, then try something a little bit different. The brains behind London’s most successful Christmas pop-up, Nordic Yulefest, which I blogged about here, is back. This time it’s all about Valentine’s Day with a difference, for loved up and single Londoners alike. This playful pop-up will appear on Saturday, 14th February, for one night only, in a swanky townhouse in the heart of Bloomsbury. Of course there will be lots of decadent food and drink offerings, including my personal favorite, Cheese and Jalapeño toasties and the Lanique Rose Liqueur Lounge. Tickets are priced at £15 p/ person for entry to Broken Hearts & Promises, with cinema tickets an additional £10. Of course, if you ladies are still after a gift, or you guys feel the need to buy some jewellery but have no idea where to start, Pandora have come up with a cheeky little suggestion. They've taken all of the guess work out with the creation of their Wishing Tree. You simply attach a love note or wish to the tree and tell them a bit about your jewellery preferences and who your Valentine is, and leave the rest to them. 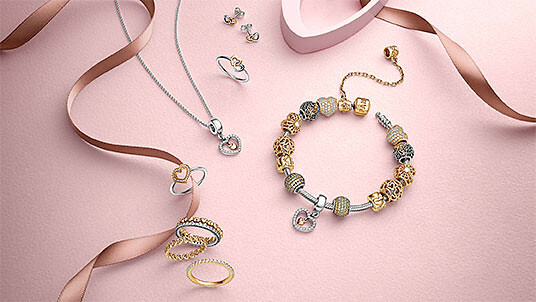 Pandora will then send the love note or wish to your Valentine, as well as some suggestions from the Valentine’s collection based on your results. Talking of Cake... well OK chocolate, but its equally as delicious. I have a giveaway that will get your lips smacking. Valentines can be a little sucky, it can be a weird time, so I wanted to spread a little joy around, and what better way than with Chocolate? 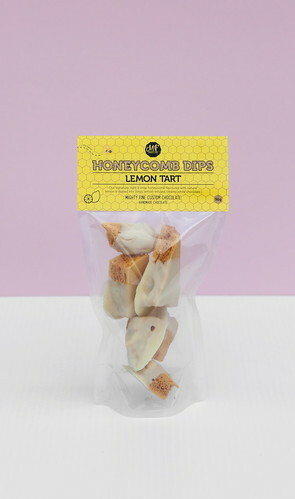 As a little Valentines giveaway, I'm giving away all 9 of the new Mighty Fine Honeycomb Dips range. I blogged about Might Fine a while back after I stumbled across their shop in Camden, and I've been big fans ever since. Trust me, they are delicious. All you have to do to win, is give Heroine in Heels and Mighty Fine a like on Facebook. Simples. Use the Rafflecopter form below so I can track who has liked the pages, and that's it. I'll be announcing the winner on Valentines Day, so not matter if you like Valentines are not, someone will get a sweet treat pick me up. The competition is open to anyone, worldwide, so get entering. Plus for a little extra entry, you can tweet about the giveaway. Good luck and have fun everyone no matter what you are doing next week. 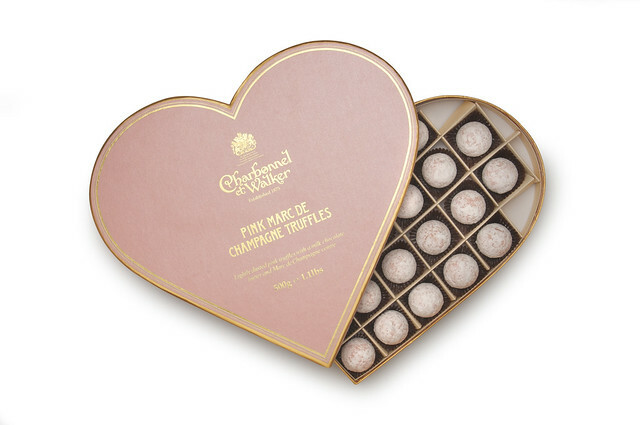 Charbonnel and Walker Pink Truffles are Mr S's favourite, not the most masculine of chocolates though! The champagne truffles are my absolute favourite! Charbonnel & Walker have been my absolute faves for years! I love the sound of the chocolate too. Keeping all my fingers crossed for that one! yum yum yum yum! 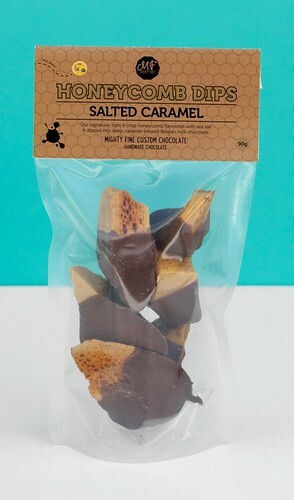 Charbonnel Salted Caramel truffles are the besssssst!